By making a few adjustments to your home network, you can improve your audio and video quality when streaming games. Try the suggestions on this page to improve your game streaming performance when using the Xbox app on Windows 10. You’ll always get the highest-quality video, lowest-latency gameplay and least interference when streaming over a wired Ethernet network. If possible, connect both your Windows 10 PC and your Xbox One console to your home network with Ethernet cables. Powerline network adapters. These adapters enable you to use the existing electrical wiring of your home as a high-speed wired network. Multimedia over Coax (MoCA). These adapters enable you to use the existing coaxial cable wiring of your home as a high-speed wired network. Newer wireless technology will give you the best wireless experience when streaming games from your Xbox One console to your Windows 10 PC. Some wireless routers will broadcast two SSIDs (network names): one as a 5 GHz network and the other as a 2.4 GHz network. 5 GHz networks are less prone to interference from things like cordless telephones and microwaves. Even though 5 GHz signals don’t have the ability to penetrate dense walls like 2.4 GHz signals, it’s always better to try using the 5 GHz band of your network before using the 2.4 GHz band. The closer your Xbox One console and PC are to your router, the better the connection. Choose a central place for your wireless router. Walls, floors and metal objects can all cause interference. Many wireless electronics such as cordless telephones, microwave ovens, baby monitors and garage door openers use the 2.4 GHz band. Using the 5 GHz band of your wireless network will help you avoid this interference. Active interference is caused when other electronic devices are broadcasting either a wireless signal or some other form of electromagnetic interference. Common causes of active interference are microwaves, ovens, air conditioners, CRT televisions, wireless headsets, baby monitors, other wireless networks, cordless phone systems and wireless speakers. Note Many other electronic devices can also cause interference. Try to minimise potential interference by removing any electronic devices between your Xbox console and your wireless router. Passive interference occurs when a wireless signal passes through objects. This causes the wireless signal to be weakened and refracted. Materials that cause passive interference include concrete, glass, lead and copper piping, insulation, mirrors, gun safes, filing cabinets, tile and plaster. The wireless signal also degrades over distance. Interference can also occur when the console is too close to the wireless router. The ideal distance from the wireless router for the Xbox One console is between 1.5 and 15 metres (5 and 50 feet). Attenuation is a natural occurrence in wireless signals. It means that a wireless signal degrades over distance, causing what are commonly referred to as “range issues.” Routers have a limited broadcast range, although this varies from device to device. A device’s range will be additionally reduced when the signal passes through solid objects (see “passive interference,” above). When dealing with active or passive interference, a critical component to consider is line of sight. 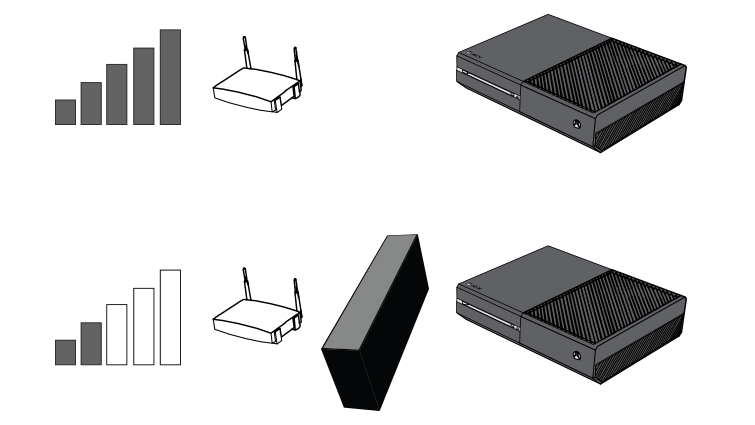 Draw an imaginary straight line from your router to your Xbox One console, and then see if you can turn off or move any devices along that line that could cause active interference. You can also move the console or router to minimise passive interference. Moving the devices out from entertainment cabinets or desks can often help improve wireless signals. After you’ve determined the best line of sight configuration for your devices and removed as many causes of interference as possible, check to see if your connection has improved. Some USB 3.0 devices can also cause wireless interference for 2.4 GHz networks. If you must use 2.4 GHz wireless, avoid plugging in USB peripherals to your Xbox One and your Windows 10 PC as much as possible. Each wireless network has a channel over which it communicates. If a nearby wireless network is using the same channel, the two networks will interfere with each other. It’s important to configure your wireless router to use a channel that won’t receive interference from nearby networks. In some markets, if a wireless device detects too much traffic on a specific wireless band, it will reduce its power in order to create less congestion on the wireless network. This results in worse wireless performance, so choose the least congested wireless band and channel as possible. Below are tips for changing your wireless channel and finding a less congested one. For information about how to change the wireless channel, visit our Networking Hardware Information forums. There you’ll find information about how to configure and update your specific network hardware. If our forums don’t have information for your specific router, consult your router documentation or manufacturer’s website to learn how to change your wireless channel. Note Xbox Support Forums content is available only in English. To translate Xbox Support Forums content into another language, paste the URL into an online translation tool such as Bing Translator. Most wireless routers have a channel width of either 20 MHz or 40 MHz available as a configurable option. This could also be shown as “Narrow” or “Wide”. The Xbox One prefers a 20 MHz or “Narrow” setting. Networks using 2.4 GHz have channels 1 through 11 (13 in Europe). A channel can interfere with other channels close to it, so you should always choose one 5 channels apart. The best practice is to select only channels 1, 6, and 11 to minimise channel overlap. Some wireless routers allow you to configure the width of the channel. By selecting 20 MHz or “Narrow” setting, you’ll limit your interference with neighbouring channels. On 5 GHz networks, the channels don’t overlap. After you’ve changed your wireless channel, check to see if your connection has improved. You can identify which channels are not being utilised in your neighbourhood. 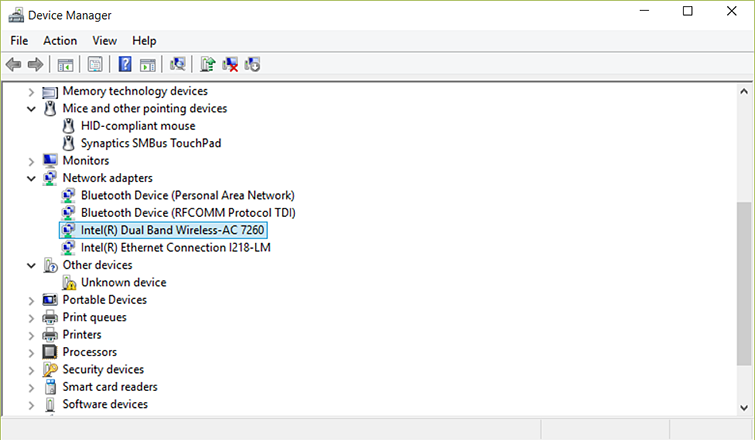 To find a listing of the wireless networks around your computer and what channels they utilise, try the following options. Use a graphical tool like inSSIDer Wi-Fi Analyzer (Android), among others. These tools are not endorsed by Microsoft. Press the Windows key, type Command Prompt, and press Enter. 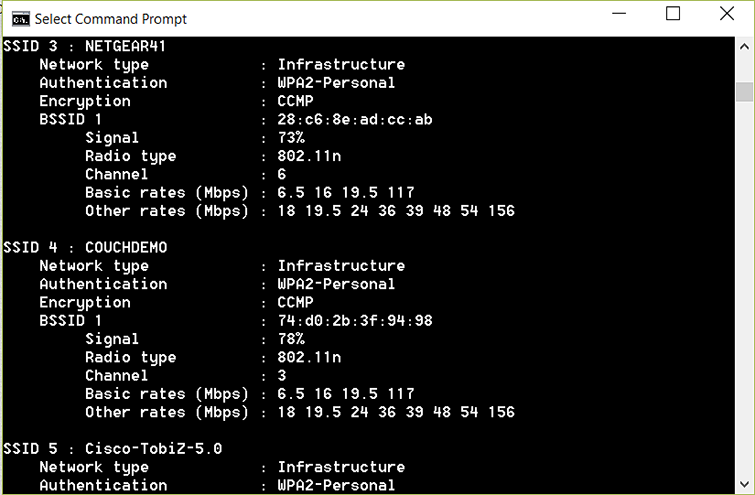 From the command prompt, type netsh wlan show networks mode=bssid and then press the Enter key. The output of this command shows a list of networks, including their signal strength and channel. If your network has the same channel (in 5 GHz networks) as any of these, or its channel is within 5 of an existing channel (for 2.4 GHz networks), you can improve your streaming quality by changing the wireless channel on your router’s configuration page. Using the latest wireless drivers and firmware is always the best option. Here’s how to do it. Routers, both wired and wireless, contain embedded software called firmware. The router firmware includes network protocol, security and administrative features. Routers with older information stored in the firmware may not work correctly. Router manufacturers often provide updates that improve performance, stability, security and connectivity. Updating router firmware can resolve issues with slow performance or dropped connections. You can download these firmware updates and install them yourself. Your computer needs to be directly connected to the router using an Ethernet cable so you can upload the new firmware file directly to the router. Press the Windows key, type Device Manager, then hit Enter. Select Network Adapters to see which hardware is installed on your PC. Some wireless routers and access points can be configured to disable older protocols like 802.11 a, b, and g. This setting is sometimes referred to as “Mixed Mode.” Disabling these older protocols and setting the wireless router to explicitly use newer protocols (like 802.11 AC/N) will provide a better experience. Some wireless routers will default to using a single name (SSID) for both the 2.4 GHz and 5 GHz networks, while other wireless routers will default to two separate names that help you identify the frequency band. If your router uses the same network name for both networks, you can configure it to assign different names to each network. By creating separate names for each, you can explicitly configure the PC and the Xbox One to use a specific network and frequency band. Some laptop or tablet devices will use power management techniques to lower the amount of power consumed by the wireless adapter when on battery power. These techniques can reduce the wireless network bandwidth of the device and introduce latency in the communications with the Xbox One. By using the device’s power adapter, the laptop or tablet can use the full capabilities of the wireless adapter. By putting only your streaming device and your Xbox One on the 5 GHz band of your network, you’ll minimise interference from other devices. Put other computers, phones, laptops and tablets on the 2.4 GHz network band. Devices trying to communicate with your wireless router from a distance or communicating through several walls can reduce the overall available bandwidth on your home network. Consider moving those devices closer to the wireless router, or powering them down. Wi-Fi multimedia mode (WMM) allows your wireless router to prioritise time-sensitive network traffic like game streaming over non-time sensitive traffic, such as web browsing. By enabling this, you’ll improve your streaming games experience. This setting can be found in your wireless router configuration and is sometimes referred to as QoS (Quality of Service). Leaving a browser window open might cause unnecessary Internet traffic, even if that browser window is in the background. File-syncing services such as OneDrive and Dropbox might also utilise your computer’s bandwidth, competing with game streaming traffic. For the best experience, close unnecessary browser windows and limit file syncing and other bandwidth-intensive activities while streaming games. Would you like to contact Support regarding the "Improve Xbox app for Windows 10 game streaming performance" issue you were reading about or a different issue?